Our turn around time for printing is 12-15 business days. If we are designing your project it usually takes an additional 5-10 business days. If you require your project sooner however, we’d be happy to discuss your requirements and see what we can do. We have a few express options available. When we quote we always indicate how many colours the price includes, this can sometimes get a little confusing as for instance, printing a blind impression with no ink is still considered a colour. When we indicate colours we are actually indicating how many times your piece will run through the printing press. For instance, a business card with red & black on the front and black on the back will be put through the press three times therefore being considered as a three colour job. 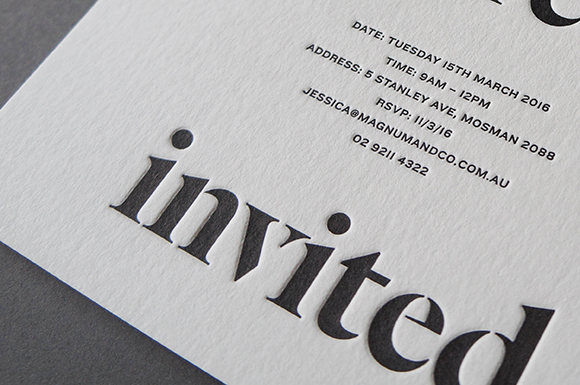 An invitation with grey, blue and a blind impression all on one side would also be considered as a three colour job. Letterpress is a time and labour intensive craft that requires great attention to detail. Printing a letterpress project requires printing plates to be made, ink to be hand mixed and then time to get the press set up just right. And this is all before we’ve even taken a print! Therefore as a rough indicator the cost of any letterpress project starts at $250. We offer a ‘250 For $250’ for business cards and for weddings we offer a ‘Save the Date offer’. As we’re a custom letterpress studio, each job differs from the next. That said, we have created some pricing based on popular wedding packages we’ve printed to help give you an idea of costs involved. Otherwise, if you let us know your requirements via our quote form we’ll get back to you with a custom quote as soon as possible. People often refer to the imprint letterpress leaves in the paper as an emboss, however technically an ’emboss’ is raised up from the page whereas a ‘deboss’ is the reverse of this. Traditional letterpress printing leaves what is called an impression in the page with minimal ‘show-through’ on the reverse side of the sheet. At D&D we can achieve all of these techniques but by default we stick to traditional letterpress but with a deep impression using soft cotton and semi-cotton paper stocks. We just thought we’d clear that up for you! When creating artwork with large areas of a colour it is worth being aware that letterpress struggles to achieve a nice, even, consistent coverage. Because of a number of factors when printing a large coverage of ink the outcome will be a mottled effect which some other letterpress studios call a ‘salty’ appearance. We think it looks beautiful and an effect that sets letterpress apart from other types of printing but sometimes may not be a desired result. If you have any concerns about your artwork let us know. Another thing to note about large solid areas is that they can sometimes distort the paper/card that they have been printed on. This can result in the card not being dead flat. It’s not something that is easily predicted as there are a few factors that affect this but its worth being aware. Not only do our printing presses print beautifully they also can also die-cut almost any shape or we can laser cut if its a little too complex. Contact us for a quote or to chat about your project. Due to the setup involved with letterpress we are unable to letterpress print individual guest names on invitations but we are able to offer digitally printed names onto the invitations or envelopes. We can also offer calligraphy to personalise invitations and envelopes as well as a few other options so let us know if this is of interest. CAN WE GET PROOFS OF THE DESIGN? We provide digital proofs of your design for approval before any custom projects go to print. As there is a lot of preparation involved in getting the printing plates made, inks mixed and printing press set correctly, we are unable to provide letterpress proofs of your project. We can however provide samples of previous print work if you would like to see physical examples. We have a large range of beautiful letterpress (and eco) friendly paper stocks that we work with on a daily basis and know intimately. Each paper has its own subtle characteristics making certain papers better suited for various projects (so feel free to ask us what we recommend for your project!). There are two main players in our studio, Gmund & Cordenons Wild, however we do stock a larger range and can source any paper required for a project. 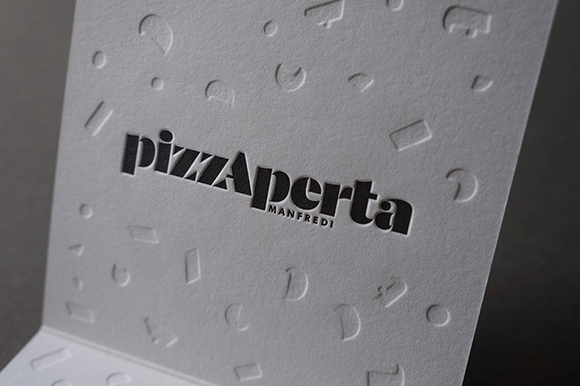 This paper stock is 35% cotton and comes from an Italian mill. It is a cotton/wood pulp blend (FSC certified) which makes it the most cost effective of our favourite letterpress papers to work with. It is available in a warm white and has a gorgeous fluffy texture, taking the letterpress impression beautifully. It is available in the following weights: 150gsm | 300gsm | 450gsm | 600gsm. Cordenons is our go to paper for wedding invitations and a huge range of other projects. 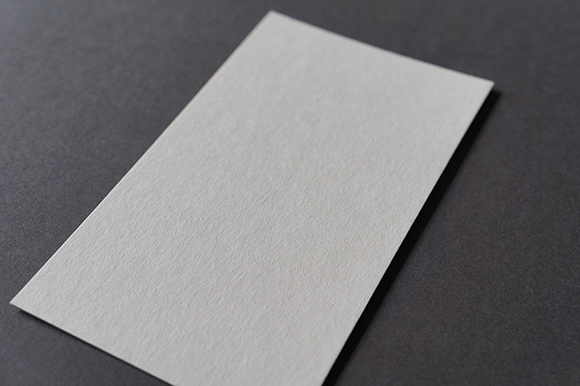 I know we shouldn’t have favourite’s but just quietly this is our favourite paper mainly because it makes the letterpress impression so crisp! It is 100% cotton (recycled) and has a smooth texture. It comes in an off white, bright white and a handful of other colours in the following weights 110gsm | 300gsm | 450gsm | 600gsm. 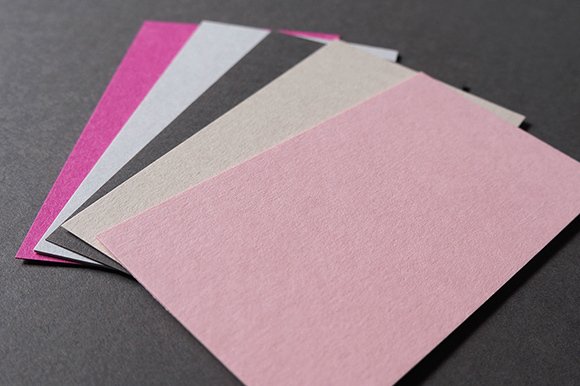 Gmund is our recommended paper for a large range of corporate projects and modern/contemporary wedding invitations. 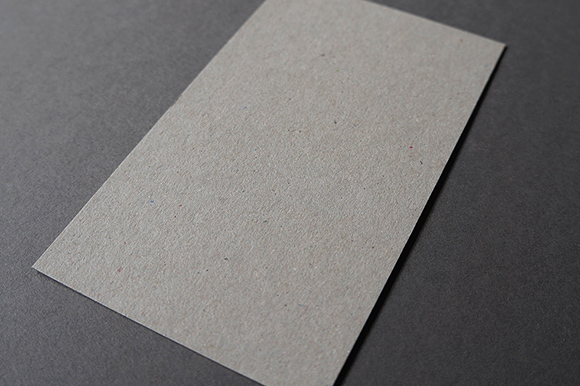 This carbon neutral paper is made from natural kraft fibres that are completely recycled. 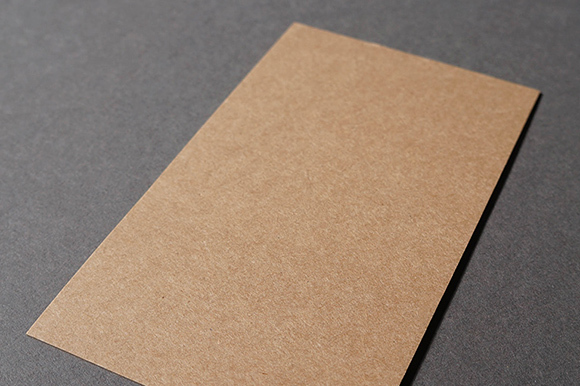 We stock this brown/kraft paper in a 386gsm weight. 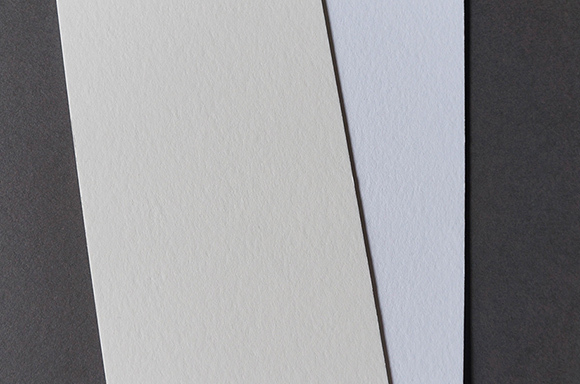 We also offer duplexing and triplexing which means we glue sheets of paper together to create a unique paper combinations. 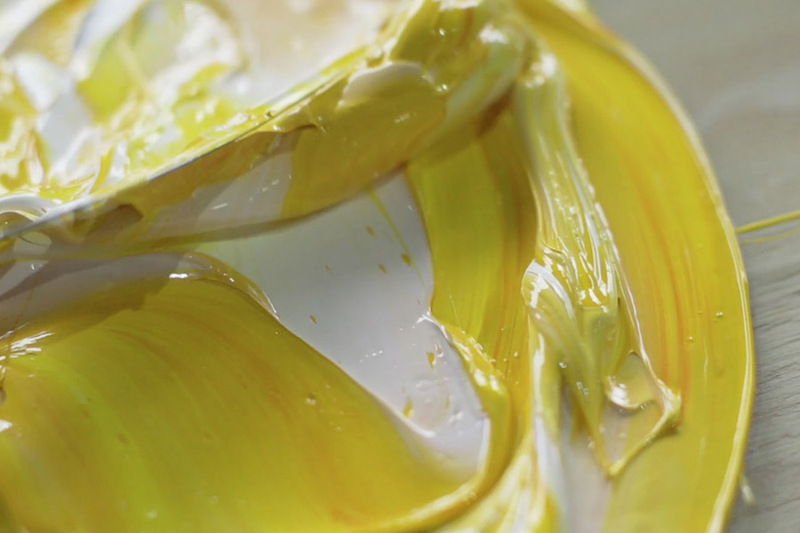 We usually do this to create a thicker paper or when two different colours are required front to back e.g. 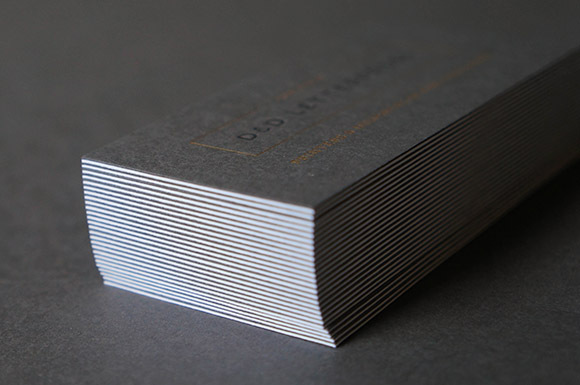 a business card with a black front and a white back. Do you want to supply us with a design to print? This quick guide below should help get your file/s perfectly set up so we can get them quickly into production for you. When printing on both sides of a piece of stock its worth noting that the two sides tend to compete with each other impression-wise. As we press in on the second side it may push the impression back on the opposite side where the artworks intersect with each other. We try and minimise this where we can but the only way to avoid this totally is to either try to design in a way that limits the artworks intersecting with each other, or we can print the two sides separately and then duplex the two sides together post printing. As you can expect this is a little more labour intensive, which means more costly. Need to indicate a dieline? If there is any custom cutting required indicate this with a magenta spot colour on a separate design layer. Does your artwork have a blind impression? If your artwork contains an element that you would like printed with a blind impression, indicate this with a cyan spot colour.